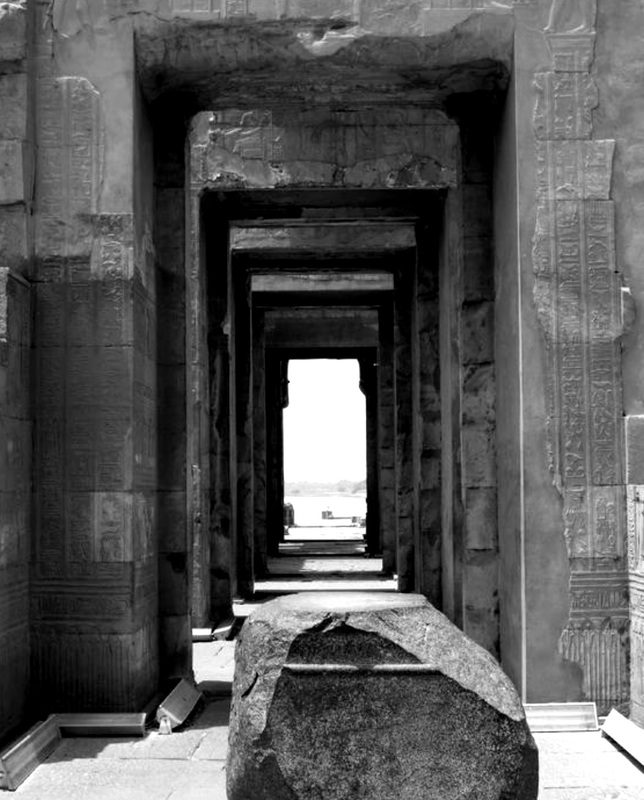 Exhausted after excavating and restoring the temple of Hippyhoppyhotep, Egyptologist Sydney Octavian Twee hoped no one would notice the big rock left in the side entrance. He just didn’t have the strength to move the blessed thing. Besides, he was still busy restoring the area where the sacred water buffalo was kept. What is the name of this temple? What animal was venerated here? If you think you have the solutions to these questions, come to the April meeting with your answers and perhaps you will win a prize! The Egyptian Government has finally revealed some of the new Grand Egyptian Museum interiors. Here is a shot of the Grand Stairway leading to the new Wahoohotep exhibit area. At the base of the stairway are exhibited the pair of guardian statues that flanked the entrance into the burial chamber. Where do you think this photo was taken? Can you visit this scene today? If not, why not? For the very first time, the CyberScribe is using a color photo. The head, Identified as that of the pharaoh Ramesses IV by its discoverer, Egyptologist, Dr. Abernathy Pontefract. Beguiled by the intense color, Pontefract spent nearly a decade trying to determine the nature of the wonderful blue paint, but with no success. 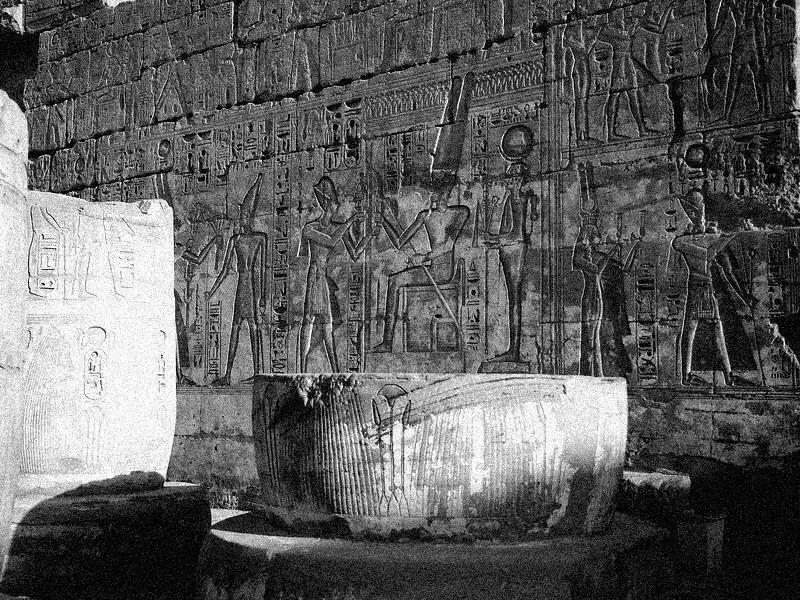 One day a sympathetic Egyptologist whispered the answer into his ear, and Pontefract ran off screaming and was never seen again. 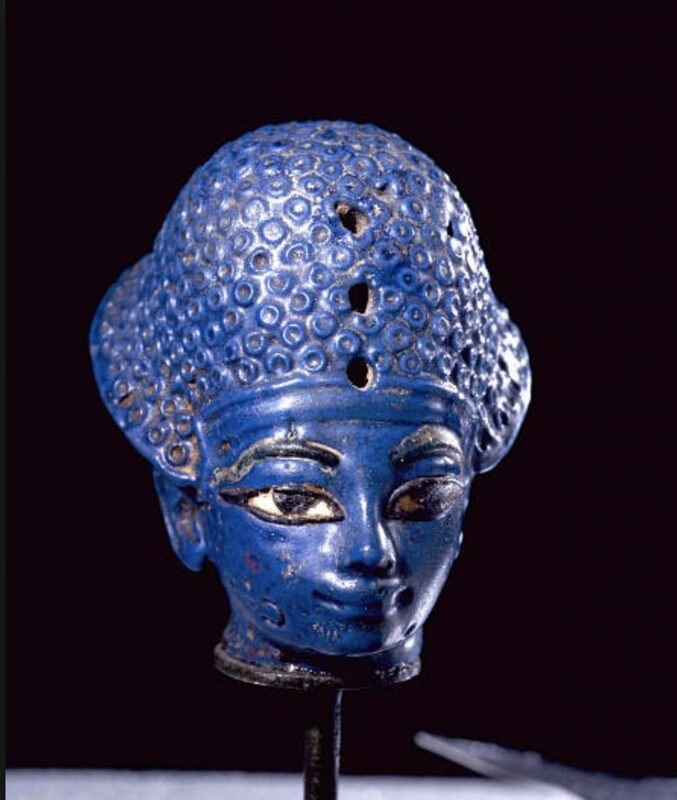 Who do you think is the Pharaoh represented by this head? Bonus Question: What museum displays this treasure? If you think you have the solutions to these questions, come to the January meeting with your answers and perhaps you will win a prize! 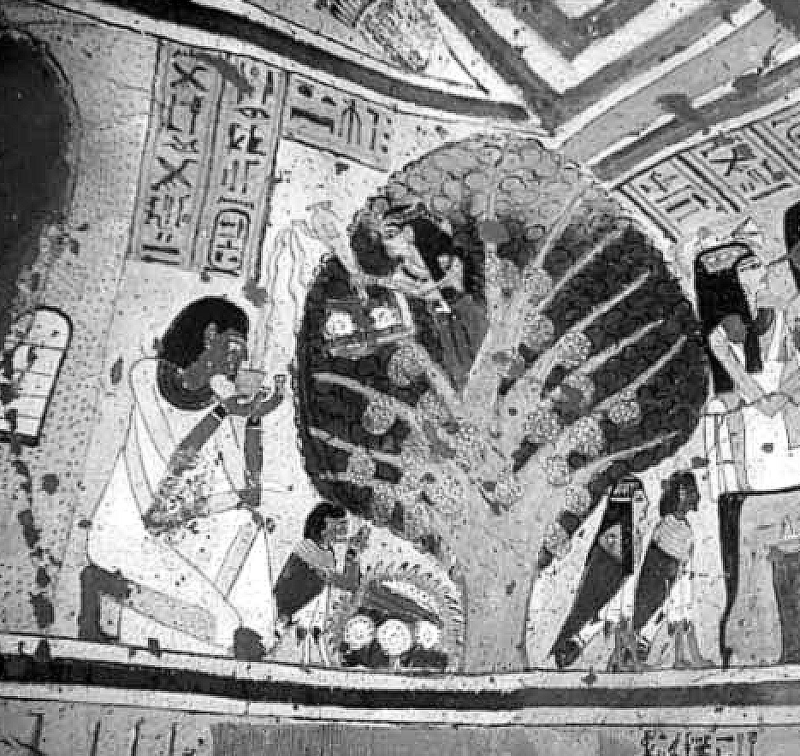 A photo from the tomb of Amunsetiramessmontuhotep where we see the tomb owner’s weird old aunt Nefer-Gladys sitting in her favorite tree, pouring tea for her nephew and offering him some doughnuts. Who is the strange woman sitting in the tree? In what type of tree is she seated? Who do you think constructed this pyramid? What was the reason for that nice balcony window? If you think you have the solutions to these questions, come to the October meeting with your answers and perhaps you will win a prize! 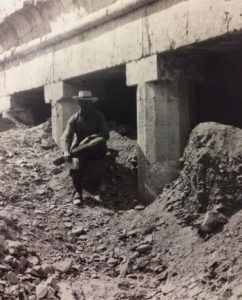 Rare photo of the initial excavations for the Cairo subway system. Where do you think the photo was taken? Be VERY accurate and precise. 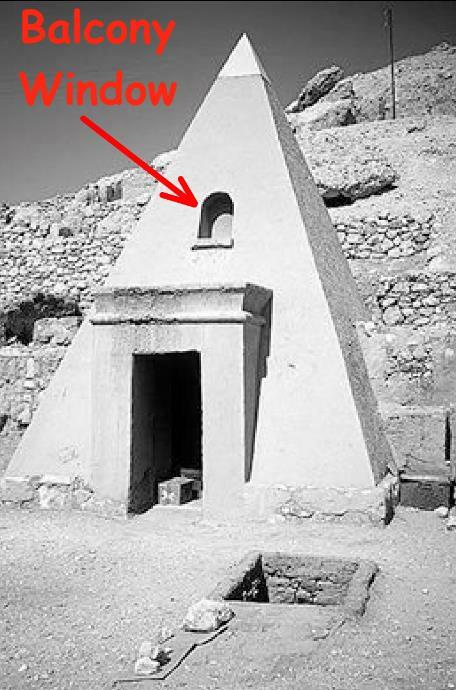 When and whom was this excavated? 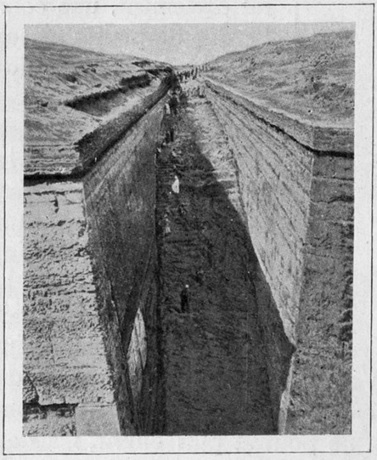 Bonus question: What great discovery lay at the bottom of this huge excavation? If you think you have the solutions to these questions, come to the August meeting with your answers and perhaps you will win a prize! Professor Oswaldo Snee sitting near his greatest and last discovery. After looking at all the rubbish that needed to be moved, he resigned his position and became a used car dealer in Poughkeepsie. When and why was this building erected? Bonus question: If not Prof. Oswaldo Snee, who is the seated man? 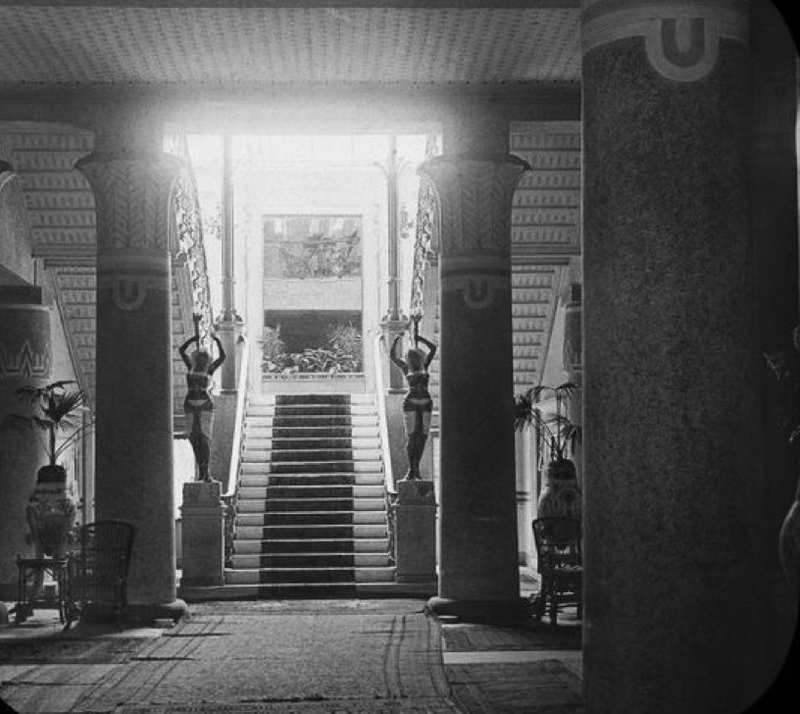 A rare photo of the Winter Palace Hotel in Luxor, before it was totally trashed by Egyptian teenagers on Spring Break. 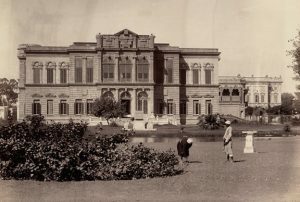 It was rebuilt, and the exterior changed to that of the modern Winter Palace Hotel. The two gardeners are looking for a cobra one of them misplaced. Bonus question: what is located on this site today? If you think you have the solutions to these questions, come to the June meeting with your answers and perhaps you will win a prize! 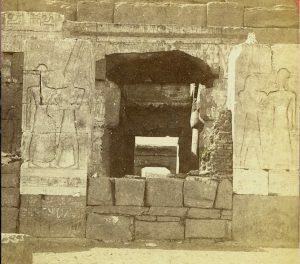 The badly damaged hieroglyphs on this wall were finally read just last year, and identified the structure as the take-out window for a place knows as “Wally-Hotep’s Pizza.” The large carvings on either side show gods presenting the kings with extra-large, all-meat special pizzas. 1. What is the name of this structure? 2. Who is the king in the wall carvings?